Disclaimer: This post is sponsored by REBBL, but all opinions are my own. Thank you for supporting the brands that I love! You guys. I have the ultimate frozen treat for you. 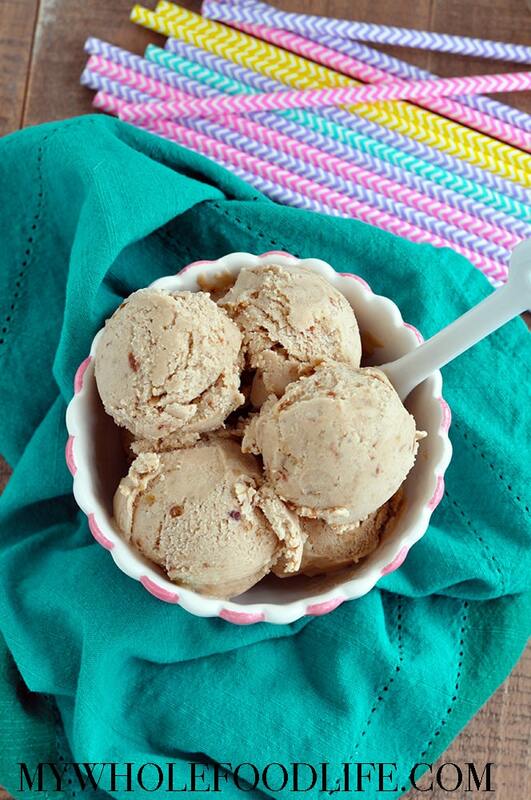 Cold Brew Coffee Ice Cream. The best part is that there is no ice cream maker necessary! This is an ice cream you can feel good about eating. 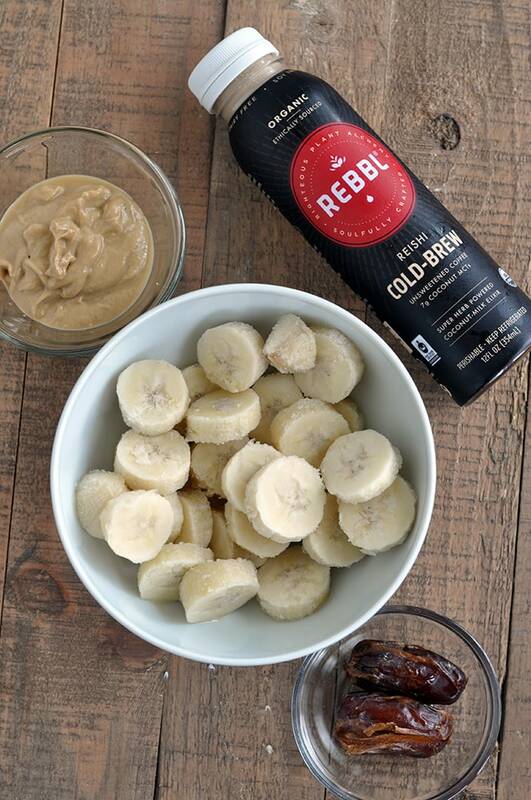 I used REBBL’s new Reishi Cold-Brew Unsweetened Coffee coconut milk elixir and it was delicious! I live in Texas and summers are HOT. In fact, it’s already getting pretty hot here and it’s barely the beginning of May! We spend most of our time out by the pool and this frozen treat is a great way to cool off. Also, the being out in the sun can drain you a bit and this healthy ice cream should energize you. We all need a little more energy when the kids are home all summer! This healthy ice cream is super simple to whip up too. It takes very little effort so you have more time to spend swimming or hanging out with the kids. There are several variations you could do with this recipe. You can add the dates for a caramel-like consistency. If you prefer a mocha, you can always add a little cacao powder to this as well. 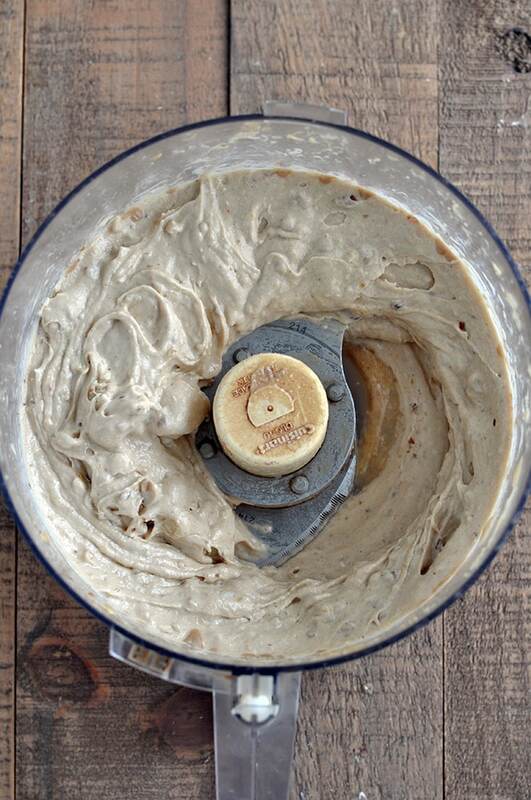 I loved using the cashew butter because it adds a great velvety texture with little flavor added. 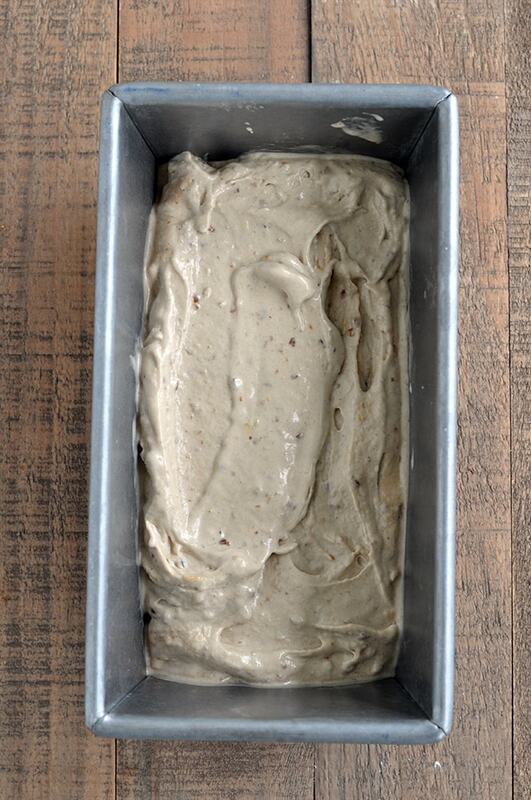 However, if you want to use almond butter or sunflower butter, that may work as well. This ice cream is vegan, gluten free AND paleo friendly. Plus it comes with super herbs like reishi. Reishi – May help support healthy immune function, liver protein and detoxification, cardiovascular health, and healthy aging. All REBBL drinks are organic, Fair Trade and Non GMO. Plus, REBBL donates 2.5% of revenue to Not for Sale to support regions of the world that are vulnerable to exploitation and human trafficking. So every bottle you purchase helps support this. To find REBBL products near you, you can search their store locator. You can also foll0w them on Facebook, Twitter and Instagram. This is a healthy frozen treat you can feel good about eating! 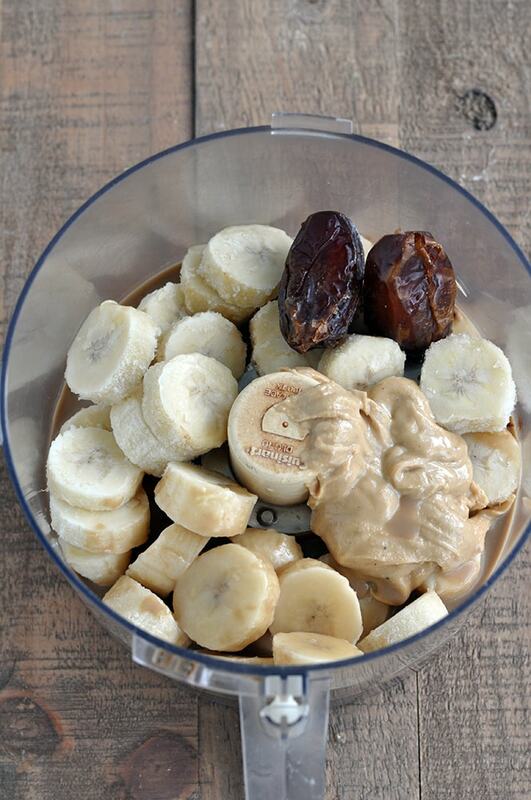 In a food processor, add all the ingredients and blend until smooth. Transfer to a small pan and place in the freezer for 30 minutes. This should keep for several months in the freezer. Enjoy!